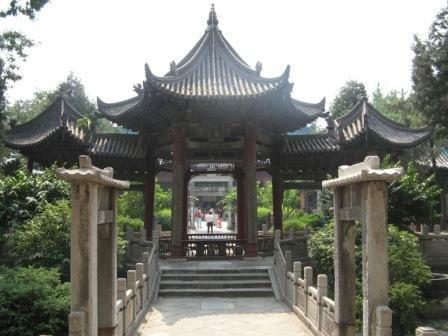 Xian is the capital of Shaanxi Province and the largest city in northwest China. It was the first capital of a unified China in 221BC (under Emperor Qin Shi Huang) and has been capital of the empire on 12 separate occasions. 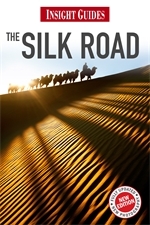 Being the terminus for the Silk Road, Xian was also one of the world�s largest, richest and most cosmopolitan cities. Many monuments in the city attest to its great history. The remains of the city walls demonstrate how vast and impressive they were and Xian is one of the few cities in China with preserved walls, some 15km in length which can be cycled on to appreciate views of the city. The Big Wild Goose Pagoda is a 64m, a 7-storey high structure which was built in 648 AD to house Buddhist scriptures brought back from India. The Muslim Hui District contains the 15th century Great Mosque, one of the largest in China, set amidst narrow streets with quaint shops, bazaars and food stalls. Elsewhere the Shaanxi History Museum contains artefacts from prehistory to the Qing dynasty. Located at the foot of the Pamir mountains in the west of Xinjiang, Kashgar was a strategically important town and staging post based at the point where the northern and southern Silk Roads converged, with easy access to India, Persia, Central Asia and Russia. Kashgar has been fought over for centuries between Chinese and Arabs, has been conquered by Genghis Khan and Tamerlane and was the base for the Great Game between the Russians, British and Chinese in the 19th century. Today Kashgar is still evocative of the Silk Road era with a maze of narrow alleyways and open air markets run by Uighir, Kazakh, Kyrgyz and Tajik merchants. Its 1,000 year old Sunday market is one of the most famous and colourful in Asia as 100,000 people gather to buy camels, livestock, leather, rugs, daggers, jewellery and silk. Kashgar's other attractions include the Id Kah Mosque, the largest in China, and the 17th century Abakh Hoja Mausoleum. Samarkand is perhaps the most famous of the Silk Road cities, one of the oldest cities in the world and one of the great destinations in world travel. From its founding in the 7th century BC, Samarkand has been as the crossroads of great trade routes, cultures and peoples and was conquered by Alexander the Great and Genghis Khan. In the 14th century, Tamerlane made Samarkand the capital of his empire and transformed the city into one of the finest in Central Asia. Its most famous feature is Registan Square, bordered on three sides by the three huge and stunning blue tiles madrassas Ulugbek, Sher Dor and Tillya Kari, perhaps the defining image of Central Asia and the Silk Road. Bibi Khanum Mosque has been compared to the Taj Mahal as Tamerlane constructed it for his wife. Other notable features include Ulug Beg's Observatory, where the great medieval astronomer calculated the length of the year to within 10 seconds, the Shakhi-Zinda Mausoleum complex and the gold-lined Gur Amir, the mausoleum of Tamerlane and his sons and grandsons. Bukhara is considered the best preserved example of a medieval city in Central Asia, with its overall design and many monuments having changed little in centuries. With over 100 officially preserved buildings, it rewards extensive exploration. Highlights include the Ark Citadel, heart of the city and residence of Bukhara's Emirs and the Kalyan mosque and minaret from which prisoners were thrown to their deaths. The Ismael Samani mausoleum dates to the 9th century and is the resting place of the founder of the Samanid Persian dynasty. The Lyabi Hauz Square is a pool of water surrounded by mulberry trees and madrassas and the perfect place to visit a traditional teahouse. Aside from the historic monuments, Bukhara's charm lies in exploring the narrow and twisting alleyways and seeking out jewellery, spices, cloths and other goods in the bazaars. The ancient city of Khiva in north-western Uzbekistan is one of the most atmospheric and evocative of the Silk Road cities. Strategically located on the Volga branch of the Silk Road, Khiva has been fought over for centuries by Arabs, Mongols, Persians and Russians. The inner town of Itchan Kala is enclosed by unbroken 10 metre high walls with 40 bastions. The town is beautifully preserved and perfect for exploration amidst the madrassas and minarets. The notable buildings include the Kunya Ark fortress, Pakhlavan Makhmud complex, Toza Bog Palace, Muhammed Amin Khan Madrassah and Djuma Mosque, whose minaret offers great views of the city below. The five ancient cities of the Merv oasis, covering over 100 km², have been important in this region for millennia. Merv reached its peak in the 11th and 12th centuries as part of the Great Seljuk Empire as key city along the Silk Road and famous for its libraries that attracted scholars from all over the Islamic world. The city and its million strong population were destroyed by the Mongols in 1221. Today, Merv is the oldest and best-preserved of the oasis cities of the Silk Road with notable monuments including the Beni Makhan mosque, Sultan Sanjar's Mausoleum and the windowless castle of Kyz Kala. The Museum of History in the nearby town of Mary contains an excellent collection of relics rescued from Merv. The origins of Kunya-Urgench go back to the 5th century as part of the Persian Empire. As capital of the Khorezm region in the 12th century, it rivalled Bukhara in wealth and importance as a Silk Road city. Destroyed by the Mongols in 1221, the city recovered but 150 years later the inhabitants were forced by Tamerlane to move to the new town of Urgench in present day Uzbekistan. They left a series of very impressive monuments behind though, which influenced architecture in Iran, Afghanistan and the Mogul Empire in India. These include the 11th century 60 metre high Kutlug-Timur minaret, the 14th century Turabek-Khanum Mausoleum, the monument of Ibn Khajib, the Ak Kala Fortress and the Tash Kala Caravanserai. Organised group tours: Click here to see 2 tours to Beijing - Istanbul which may include The Great Silk Road Cities.